This is my entry for CSO Counsil. 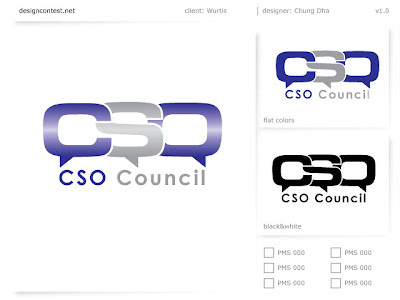 They wanted a logo with people in a conversation, so here I used the CSO and made each letter a dialog box. Here I tried to use a bit of gradient to make a web 2.0 style. This is a revision of the logo with a better web 2.0 style gradient on it. Only I didn't had time to submit it. I finally learned how to get a good web 2.0 style gradient over the logo, also learn few different style to do it too.